If you follow my blog at all, you know how much I love the great people over at Lucky Leaf . They are always sending me pie filling and other goodies along with fabulous recipes!! The other day I received a can of Raspberry Pie filling from them!……I had no idea there was Raspberry Premium Pie Filling! and I’m a HUGE fan of raspberry!!! I bet you could even use it with the Raspberry Filled Cupcakes I made a few months ago. With all the holiday baking I didn’t think I had time to squeeze in another recipe to my already long to do list! But after a quick look, I realized how EASY these cookies were and best of all, I was already making my butter cookies to decorate, so I would have no problem pumping out a few of these delicious treats! 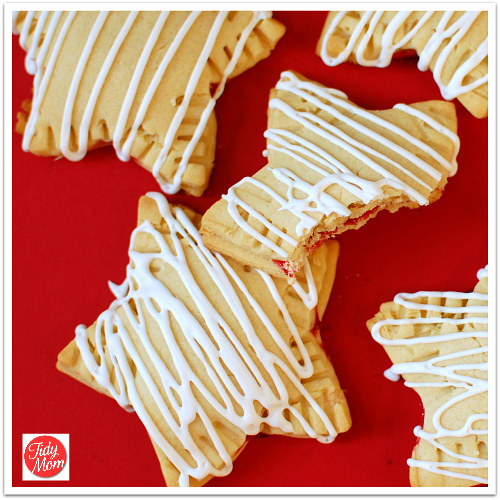 Leave Santa some cookies he will remember with these raspberry filled star butter cookies. 1 Prepared raw butter or sugar cookie dough of your choice. Mix cookie dough. *I used my favorite Butter Cookie Recipe, or you could use Bridget’s Sugar Cookie or even buy Pillsbury refrigerated cookie dough! 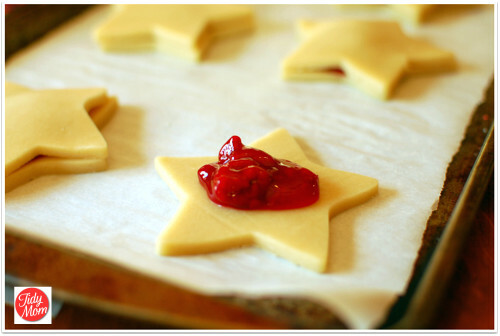 Place another star cookie on top. 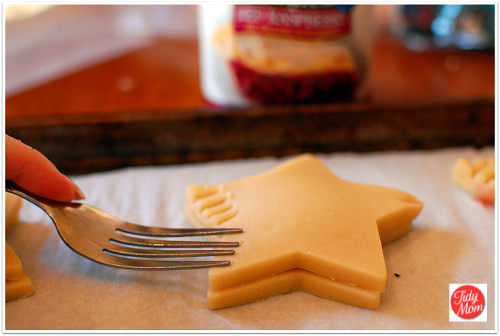 Gently seal cookie with a fork to crimp edges together. I also want to tell you about the second annual Lucky Leaf Made with Love Recipe Contest that is underway YOU could be the grand prize winner of $4,000 – all you have to do is enter! More information on the contest, as well as rules and regulations, can be found here: http://www.luckyleaf.com/Promotions/MadeWithLove/. All three finalists in the contest receive a two day/one night trip to the Better Homes and Gardens Test Kitchen in Des Moines, IA, for the Bake-Off in April 2011 and two runners up will receive a $500 prize. – How AWESOME would THAT be!! Are you baking cookies for the holidays? I have a few more to share over the next few days. I’d love to hear what you are baking! You always make it look so easy!!! Why……WHY….are you NOT my neighbor? 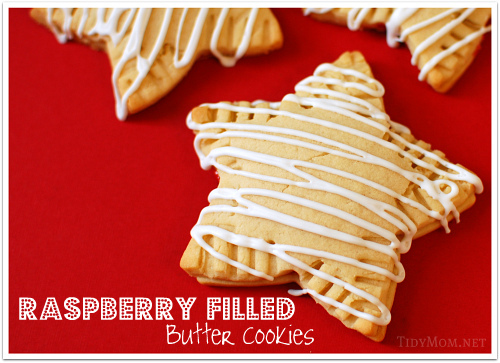 These look AMAZING…I love raspberry too!! and now…yet another cookie I HAVE to make! yummo goodness is what you post every day…I’m gonna weigh a ton by the time the holidays are over…. These look beautiful and delicious! The stars are so pretty, and I love the simplicity! I have some lucky leaf and am totally going to make these! Yum! These are so pretty, Cheryl! 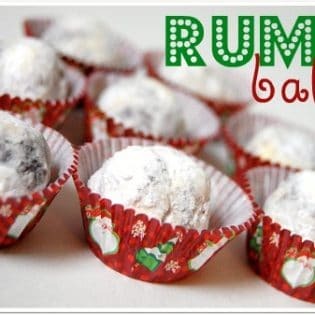 And oh my goodness… they sound delicious!!! One of my dear friends and I get together the weekend before Xmas every year to bake cookies. I’ve bookmarked this one for next year. They look sooooo good! 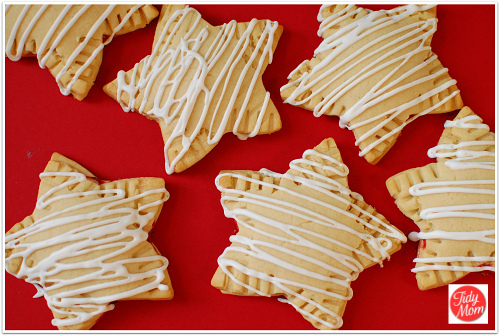 What a great idea…these look like the perfect holiday cookie and that drizzle…oh that drizzle! Cute! I’d love some of these. Wow! These are so fabulously simple and great. Every Christmas, I always baked cookies for my children. They really like the star shape cookies. I just made Toasted Coconut Shortbread Cookies. Yum! These look amazing! Butter and raspberry- the perfect combination! Visiting from TT&J cookie link party. Beautiful! These look so yummy! !